The UC Davis Department of Entomology and Nematology is one of the best in the world, according to information released today (April 3) by the Times Higher Education's Center for World University Rankings. Performance indicators are grouped into five areas: Teaching (the learning environment); research (volume, income and reputation); citations (research influence); international outlook (staff students and research) and industry outcome (knowledge transfer). 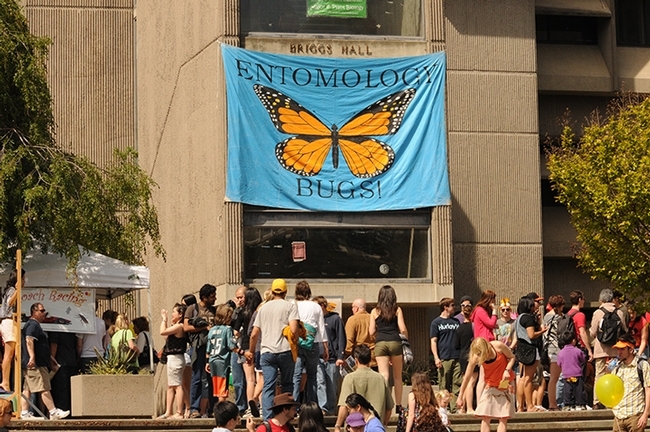 The UC Davis Department of Entomology and Nematology is led by chair Steve Nadler and vice chair Joanna Chiu. "The Times Higher Education World University Rankings 2015-2016 list the best global universities and are the only international university performance tables to judge world class universities across all of their core missions - teaching, research, knowledge transfer and international outlook." "The top universities rankings employ 13 carefully calibrated performance indicators to provide the most comprehensive and balanced comparisons available, which are trusted by students, academics, university leaders, industry and governments. This year's ranking includes 800 universities from 70 different countries, compared with the 400 universities from 41 countries in last year's table. View the World University Rankings methodology here." Overall, UC Davis scored No. 1 in the world in the subject, agricultural economics and policy, with a 100 score.